Show your desert flair with this native-inspired design. 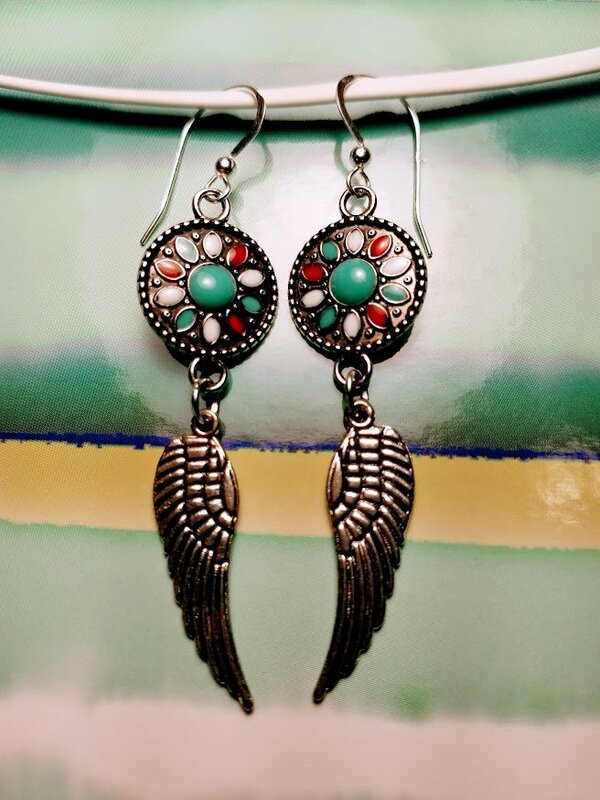 Angel wings are suspended below a silver shield with turquoise, red coral and pearl colored accents. Total length of drop is about 3 inches. Sterling Silver earhooks. Drops made of silvertone metal and epoxy. Multi purchase discount if you buy more than one pair! $5 off each pair when you buy 2 or more (One pair/$15.00, Two + pairs/$10.00 each). Price difference will be refunded when I process the order as Ecrater doesn't handle these incentives well.